There are always two sides to a story... same with Osaka. Osaka is the newest sushi & hibachi house to join the Coolidge Corner neighborhood. Weirdly located on a side street off of Harvard St, Osaka still manages to make it's presence known with its vibrant outdoor lighting. Osaka has 2 sides you could choose to sit. On the right is the subdued, traditional sushi restaurant side where food is brought to you quietly. The other side is the hibachi side where the chefs are screaming crazy things at you! LOL. Considering it was a Tuesday night and I was not the happiest camper, I opted to sit on the more conservative side. 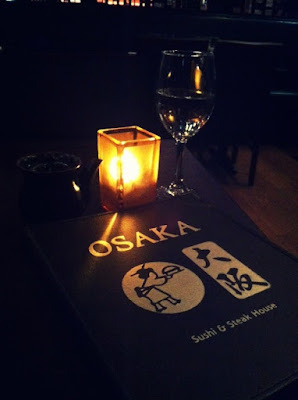 In any case, I recommend Osaka in Coolidge Corner for its quality food, pleasant environment, and affordable menu. 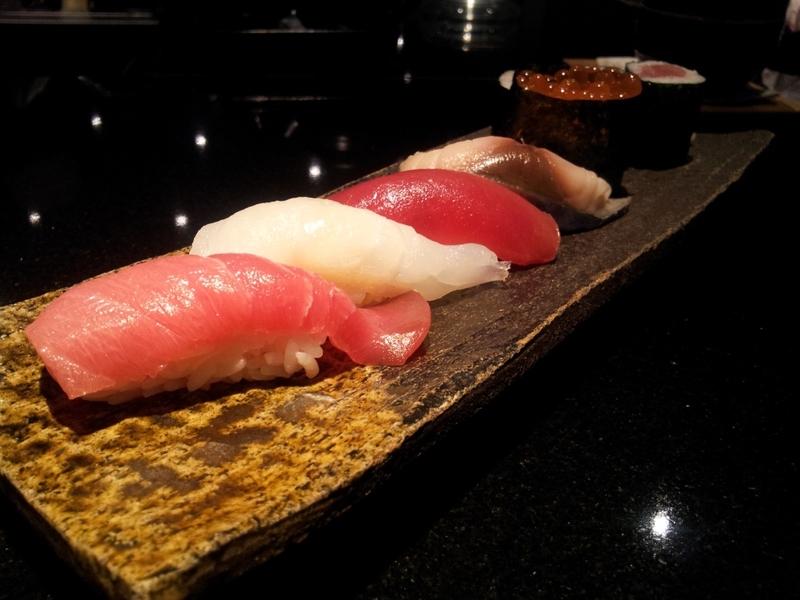 It's not quite Fugakyu but it's definitely an upgrade from Mr Sushi! Next time, I'll have to check out the cooky Hibachi side! Ciao for now! Beautiful site and great review. Pass the Uni please!